A nicely composed scene as a crowd of bystanders look on to what must be an important person or event. We have our guesses. 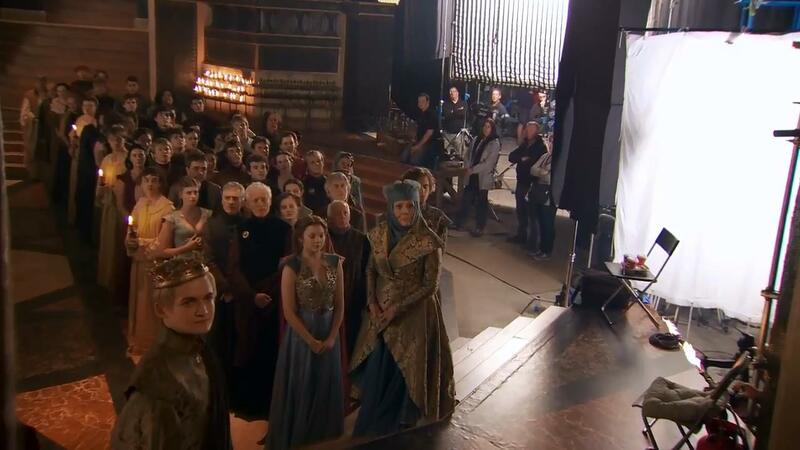 Note the Queen of Thorns, played by Diana Rigg, beside Margaery… and you can just see Ser Loras as well.